If you want to study English online, this section is for you. It lists English teachers, language schools and other organisations which provide English language lessons or courses via the internet. The listings include individual teachers who offer English lessons by Skype or via similar programs and also large schools or organisations who have complete online language schools where you can choose from a variety of English courses. Although some of the courses offered are free, the majority require registration and payment. For more information on any of the teachers, schools or courses listed, or to visit their website, click on the listing for more details. 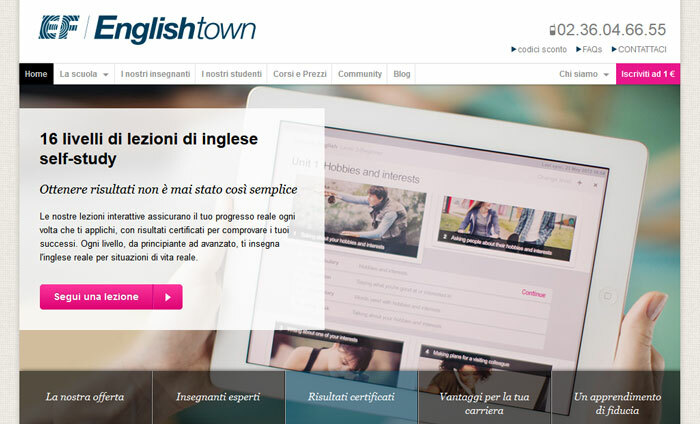 Englishtown is part of the EF Group, probably the world's largest private teaching company, and offers online English courses for groups and individuals. 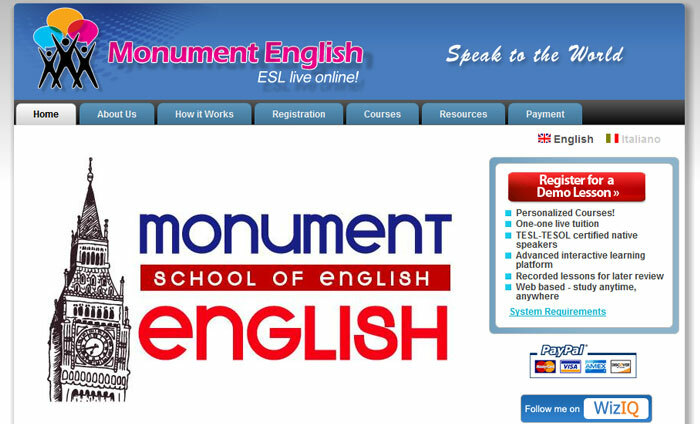 Monument English provide online English lessons for ESL students of all levels and ages, for individual students or groups, with their interactive e-learning platform. 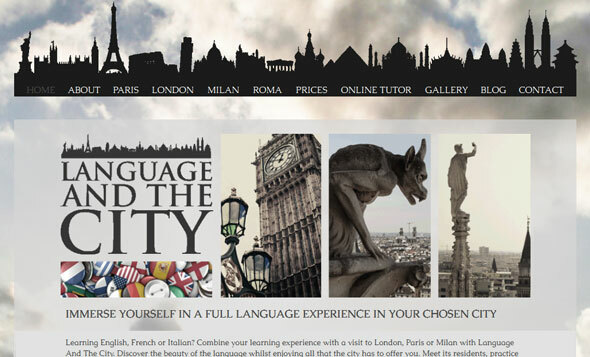 Language and the City offer a tailor-made linguistic and cultural experience in English, French or Italian on either a 1-1 or small group basis in London, Paris or Milan. 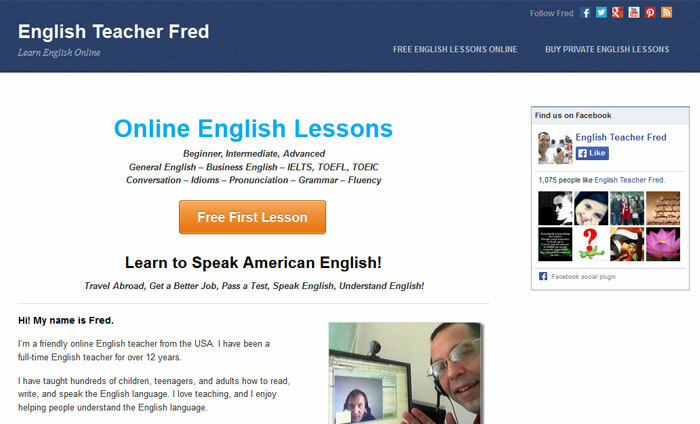 English Teacher Fred offers English lessons for ESL students of all levels: Beginner, Intermediate and Advanced, and ESL lessons of all types! First lesson is free. 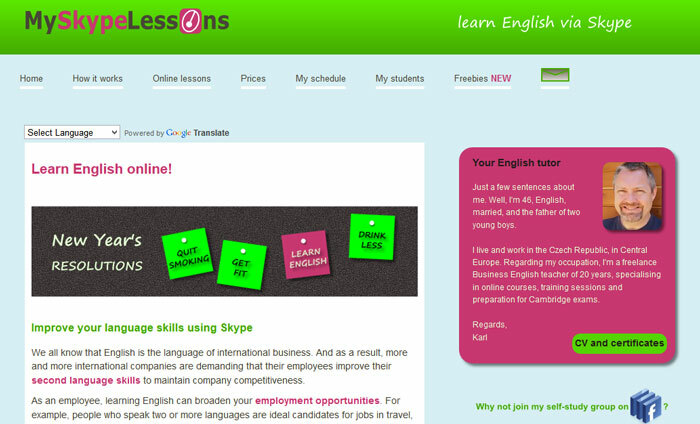 MySkypeLessons.com aims to provide adults or high school students with a quality online English input that cannot ordinarily be accessed locally. Hit the button to submit details of your online lessons, course or school.